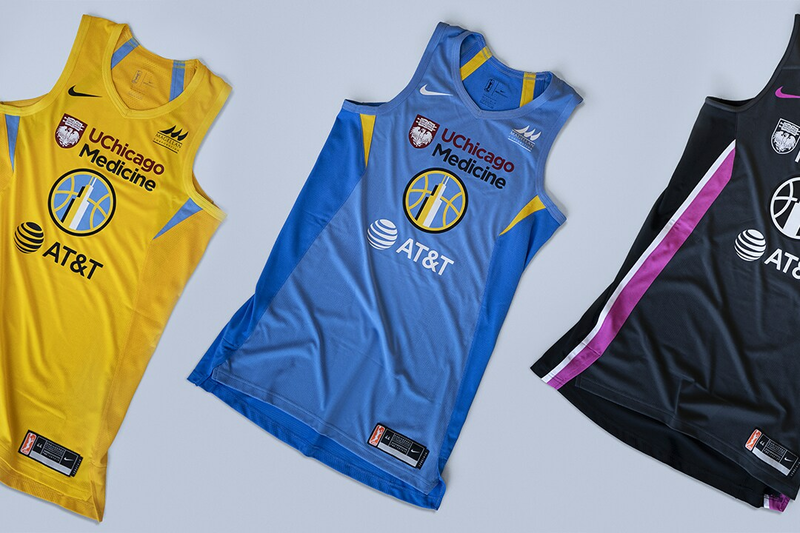 NIKE – For the second year, WNBA teams will wear Nike Women’s Aeroswift uniforms throughout the season. While the same meticulous performance features are making a return, there are a number of aesthetic updates to keep an eye out for. 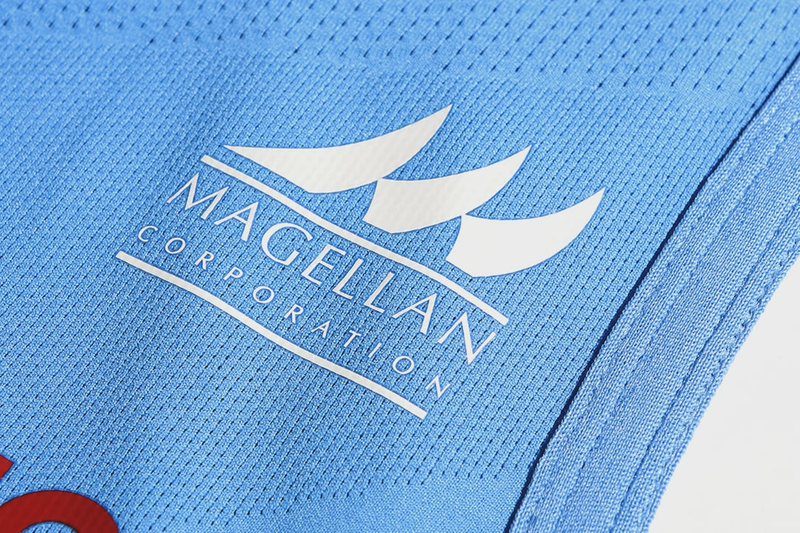 Player numbers will only appear on the back of the jerseys so team logos feature more prominently on the front. 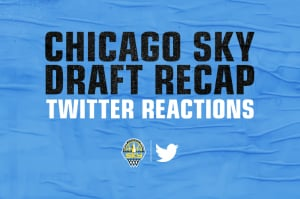 The revamped logo for the Chicago Sky will appear for the first time. The fit, with its women-specific scapula cuts on the jersey and vents on the shorts, as well as an extensive variety of uniform lengths and short rises maximize range of motion and comfort. Temperature regulation via an advanced, closed-hole mesh fabric with quick-dry back venting (the pattern and placement were determined by employing digital body maps that evaluated female athletes’ primary sweat and cling zones). Each team will have Icon Edition (in their primary color) and Statement Edition (in their secondary color) silhouettes. 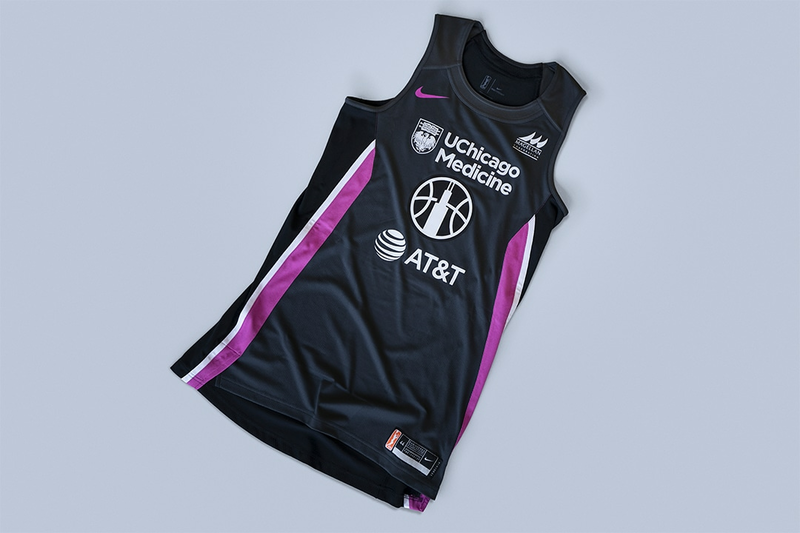 For the month of August, each team will host a Breast Health Awareness home game, during which players will wear a special-edition gray WNBA Breast Health Awareness uniform. 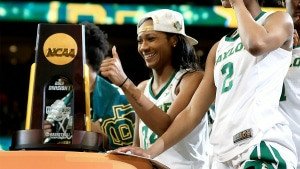 The WNBA jerseys for the 2019 season will debut on court May 9 at the start of the preseason. Jerseys will be available at WNBAStore.com beginning May 24 for the start of the regular season. Click here to download hi-res images of all Icon Edition uniforms and Statement Edition uniforms. 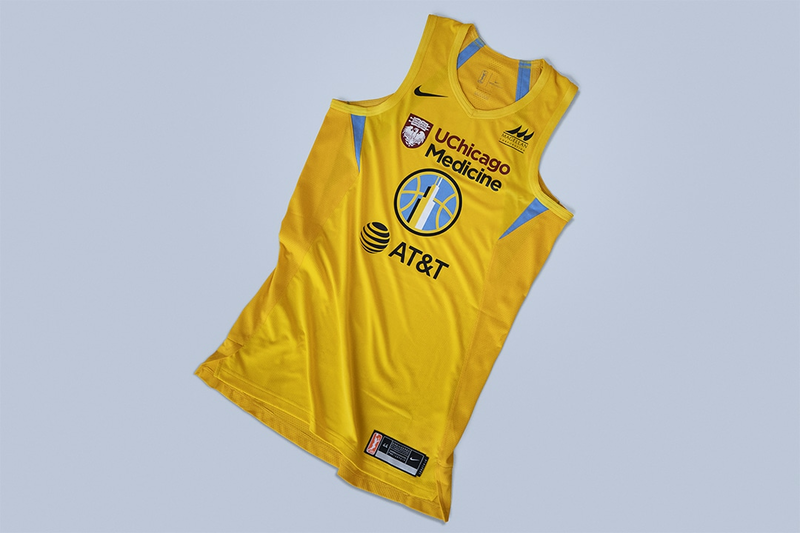 Chicago Sky 2019 Statement Jersey. 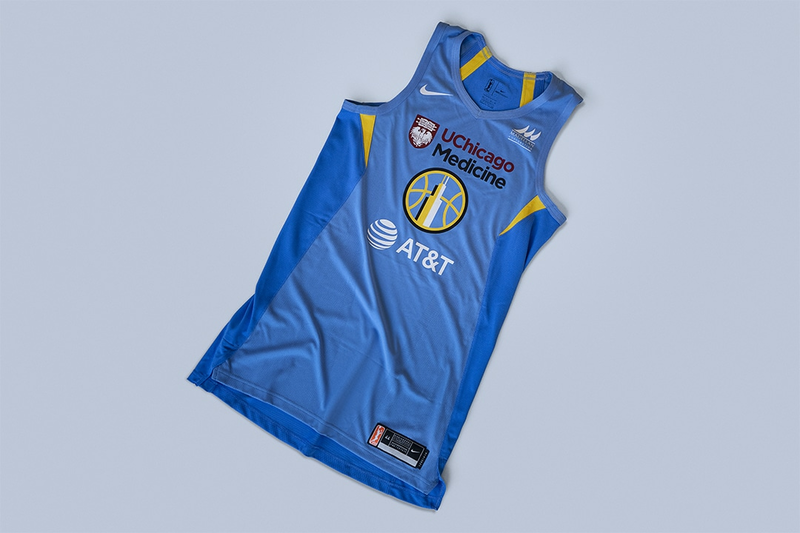 Introducing the new Chicago Sky 2019 Jerseys. 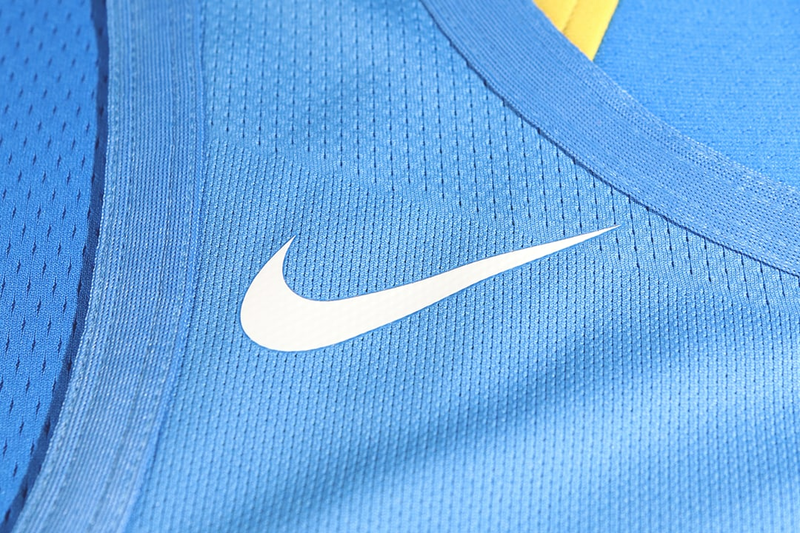 Nike Swoosh logo on the Icon Jersey.